Champagne and Caviar… yes, please! Join the Whelk for dinner featuring those two delicacies on Tuesday December 12 at 7pm. The meal includes 4 courses, 9 wine pairings, and costs $170 per person, plus tax and gratuity. On Thursday December 14 from 6-9pm, Norwalk’s Waypointe will be converted into a Holiday Pop-Up. The Orchard St. Market is free and open to the public, and will feature local Norwalk artisans. In addition, with the purchase of a $25 ticket, you can attend a special holiday-themed art class inside Pinot's Palette. Visit Hub & Spoke in Bridgeport for Dinner and Storytime with Santa from 4:30-7:30pm on December 14. Adults and kids can enjoy an early dinner and holiday desserts while chatting with Santa over a hot cup of cocoa. Call 203-345-9110 to reserve. On Tuesday December 12, Tre Scalini in New Haven will host a Feast of the 7 Fishes. It costs $90 per person and reservations can be made by calling 203-469-4218. Cookshop Plus in West Hartford will teach you all about holiday appetizers on Tuesday December 12. Learn how to make stuffed mushrooms, crab-artichoke dip, and endive with goat cheese, citrus, and almond. It costs $65 and starts at 6:30pm. Nom-eez in Bridgeport is offering lunch specials for the month of December. Choose a nibble, a bowl, and something to finish for just $14.99. Join them from 11:30am-3pm. Stew Leonard’s in Newington will have a Toddler Holiday Cookie Class on December 12 at 9:30am and 11:30am. Tots ages 2-5 can make candy cane sugar cookies, chocolate dipped shortbread cookies, and traditional gingerbread cookies. It is $20 per child. Kids in grades 1-6 can visit Wakeman Town farm on Saturday December 16 for a Gingerbread House Decorating Event. From 11am-12:30pm, kids can decorate a house while enjoying holiday music and hot cocoa. It costs $45. The Fez in Stamford invites you to a “Drinkable Arts Painting Party” on Tuesday December 12. Choose to paint wine glasses or ornaments… right in time for the holidays! The Class fee is $30 dollars and includes a glass, glass paint, brushes, and a complimentary glass of wine. Lady Katharine Cruises at Harbor Park Landing in Middletown invites you to a Holiday Happy Hour on December 14. Climb aboard the Mystique for live music by Those Guys, hot and cold hors d'oeuvres, and a complimentary signature drink when boarding. Boarding begins at 5:00pm. The one hour cruise departs at 6:30pm and returns at 7:30pm. New Canaan Wine Merchants will have a “Champagne Celebration” on Thursday December 14 from 7-8:30pm. Join them for an informational- but fun!- wine class featuring tasty bubblies from one of France’s most prestigious regions. It costs $10 per person, and also features cheese. Call (203) 972-0100. New Canaan Nature Center’s 10th Annual Winter Wonderland takes place on Saturday December 16 from 11am-2pm. Participate in seasonal activities for the entire family like a visit with Santa (starting at 11:30am), horse-drawn wagon rides (an additional $5 person), holiday trains, marshmallow roasting, a gingerbread house creation contest, caroling, and more. For members the cost is $10 per child and for non-Members it is $15 per child. Adults and children under 2 are free. A Pop-Up Holiday Food Market will take place at Billings Forge Community Works in Hartford on Saturday December 16 from 10am-1pm. The event will feature fresh foods from Hartford Food System's Hartford Mobile Market, Ed Barden Farm, Easy Pickin's Orchard, SWEET PEA FARM, and Sweet Wind Farm. There will be activities for the family and information about programs in the community- plus the first 40 families will receive a $5 voucher to shop. Wood-n-Tap in Newington presents a Barrel-Aged Brunch featuring Founders Brewing on December 16. They will be offering a full pour of FIVE different exclusive, barrel-aged Founders' beers as well as a brunch buffet. Breakfast items include Bacon-n-Egg Quichettes, Pork Belly Pops, Pumpkin Pancake Bites, Cinnamon Sugar Pretzels, and Butternut Squash Risotto Balls. A $50 ticket includes one of each style of beer as well as endless brunch bites. December 17 is the Goshen Farmers Holiday Market- and the last day of their season! Visit them from 1-4pm at St. Thomas of Villanova at 71 North Street in Goshen. 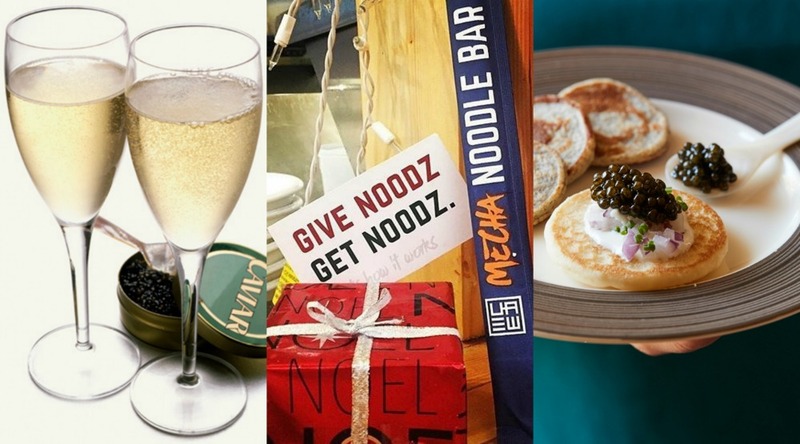 Also in December, Mecha Noodle Bar will GIVE YOU $25 when you buy a $100 gift car. This holiday season, Shake Shack throw in a special $5 Shack Back bonus card when you snag a $25+ gift card.